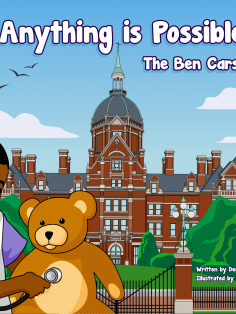 Benjamin S. Carson, Sr., M.D., had a childhood dream of becoming a physician. Growing up in a single parent home with dire poverty, poor grades, a horrible temper, and low self-esteem appeared to preclude the realization of that dream until his mother, with only a third-grade education, challenged her sons to strive for excellence. Young Ben persevered and today is an emeritus professor of neurosurgery, oncology, plastic surgery, and pediatrics at the Johns Hopkins School of Medicine, and he has directed pediatric neurosurgery at the Johns Hopkins Children’s Center for over 29 years. He became the inaugural recipient of a professorship dedicated in his name in May 2008. He is now the Emeritus Benjamin S. Carson, Sr., M.D. and Dr. Evelyn Spiro, R.N. Professor of Pediatric Neurosurgery, having retired on June 30, 2013. Some career highlights include the first separation of craniopagus (Siamese) twins joined at the back of the head in 1987, the first completely successful separation of type-2 vertical craniopagus twins in 1997 in South Africa, and the first successful placement of an intrauterine shunt for a hydrocephalic twin. Although he has been involved in many newsworthy operations, he feels that every case is noteworthy – deserving of maximum attention. He is interested in all aspects of pediatric neurosurgery and has a special interest in trigeminal neuralgia (severe facial pain) in adults. Dr. Carson holds more than 60 honorary doctorate degrees. He is a member of the Alpha Omega Alpha Honor Medical Society, the Horatio Alger Society of Distinguished Americans, and many other prestigious organizations. He has sat on the board of directors of numerous organizations, including Kellogg Company, Costco Wholesale Corporation, the Academy of Achievement, and is an Emeritus Fellow of the Yale Corporation, the governing body of Yale University. He was appointed in 2004 by President George W. Bush to serve on the President’s Council on Bioethics. He is a highly regarded motivational speaker who has addressed various audiences from school systems and civic groups to corporations and the President’s National Prayer Breakfast. 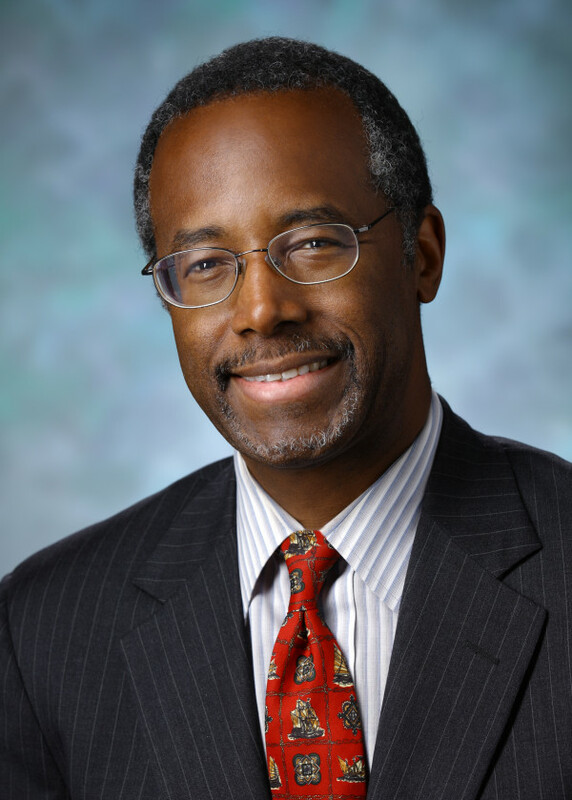 In 2001, Dr. Carson was named by CNN and TIME Magazine as one of the nation’s 20 foremost physicians and scientists. That same year, he was selected by the Library of Congress as one of 89 “Living Legends” on the occasion of its 200th anniversary. He is also the recipient of the 2006 Spingarn Medal which is the highest honor bestowed by the NAACP. In February 2008, Dr. Carson was presented with the Ford’s Theatre Lincoln Medal by President George W. Bush at the White House. In June 2008, he was awarded the Presidential Medal of Freedom by the President, which is the highest civilian honor in the land. He has literally received hundreds of other awards during his distinguished career. In June 2013, after 40 years of medical endeavors, Carson retired and today serves as Professor Emeritus of Neurosurgery at Johns Hopkins University. His first four books, Gifted Hands, THINK BIG, The Big Picture and Take the Risk: Learning to Identify, Choose and Live with Acceptable Risk (January 2008), provide inspiration and insight for leading a successful life. A fifth book, America The Beautiful: Rediscovering What Made This Nation Great, was released in early 2012 and made the New York Times Bestseller List in 2013. His sixth book, One Nation: What We Can All Do To Save America’s Future was released on May 20, 2014 and has also made the New York Times Bestseller List. His seventh book, One Vote: Make Your Voice Heard was released September 22, 2014. 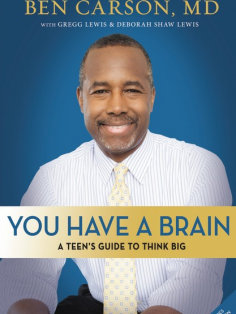 His eighth book, You Have a Brain: A Teen’s Guide to T.H.I.N.K. B.I.G., which encourages young people to aim high, was recently released on February 4, 2015. His ninth book, A More Perfect Union, was released on October 5, 2015. 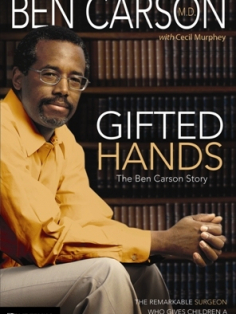 Dr. Ben and Candy Carson’s dream is to name a Carson Scholar in every school within the United States. In accordance with federal ethics rules, Dr. Carson resigned his positions with the Carson Scholars Fund in March 2017, when he began serving as the Secretary of Housing and Urban Development. What and who inspired you to serve in the medical field, especially with children? (Dr. Carson) I was inspired by the mission stories in church, that frequently featured missionary doctors who travelled the world at great personal expense to bring not only physical, but mental and spiritual healing to others. I was attracted to kids, because I like to get a big return on my investment. What has been the greatest moment of fulfillment for you in your field? (Dr. Carson) Being inducted into the Alpha Omega Alpha (AOA) medical honor society and the Institute of Medicine (IOM) of the National Academy of Sciences. What is the greatest achievement you have made? Helping people realize that the person who has the most to do with what happens to you in life is YOU! What has been the greatest honor you were given? Every time I come out of the operating room and can tell a family that the operation went well and their loved one is doing well. Favorite teacher from Elementary school (and a reason why if there is one)? Mr. Jaeck, the science teacher who was the first to have a lot of faith in me (Ben). Did you have any childhood pets? To learn more information about this amazing individual, please consider buying the book Gifted Hands or one of the other books from our bookstore. Please also consider buying the children’s book, Anything Is Possible. All proceeds go to benefit the Carson Scholars Fund. We appreciate your support! 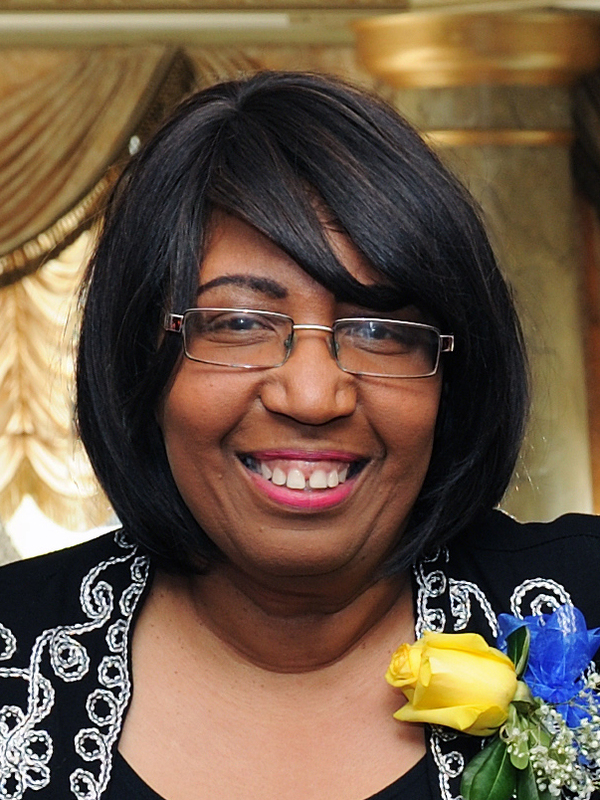 Mrs. Candy Carson is an author, philanthropist and musician. Born in Detroit, Michigan, Candy grew up in a middle-class family that stressed strong values and hard work. Her parents, a teacher and automobile factory worker, taught her from an early age to always do her best in life. That mindset led Candy from Detroit to Yale University, where she studied with a music scholarship and got to demonstrate her talents by playing first violin with the Yale Symphony in Austria at a European premiere of Leonard Bernstein’s music. While in college, Candy met her future husband Ben, and upon graduation, the two married and moved back to Michigan. Candy supported the family while Ben completed his medical degree at the University of Michigan in Ann Arbor. Over the years, Candy has worked in fields such as editing, trust administration, real estate sales, conducting and music arranging. She has played the violin for orchestras such as the Ann Arbor Symphony and the Nedlands Symphony near Perth, Australia. Candy’s passion, however, lies first and foremost in fostering a better future for America’s children. That culminated in the co-founding, with her husband Ben, of the Carson Scholars Fund more than 15 years ago. The nonprofit organization seeks to prepare the next generation for leadership and success in life through reading and education. At first, Candy ran the organization single-handedly. Currently, the organization consists of eleven dedicated staffers, has a presence in all 50 states and has recognized more than 6,600 scholars and installed over 130 Ben Carson Reading Rooms around the country. Candy and her husband have written three books together, including the New York Times bestseller, America the Beautiful: Rediscovering What Made This Nation Great, and One Nation: What We Can All Do to Save America’s Future. The latter addresses the changing state of the nation and how Americans can work together to ensure abundant opportunities for their children. In October 2015, Candy and Ben released their third book, A More Perfect Union: What We the People Can Do to Reclaim Our Constitutional Liberties. The book discusses the principles that the Founding Fathers put forth to give ordinary citizens the power to govern their country, and reminds Americans that the Constitution belongs to all of them, not just bureaucrats in Washington. Candy and Ben have three sons and daughter-in-laws. The recent addition of two granddaughters has given Candy the new name of Mumsee!